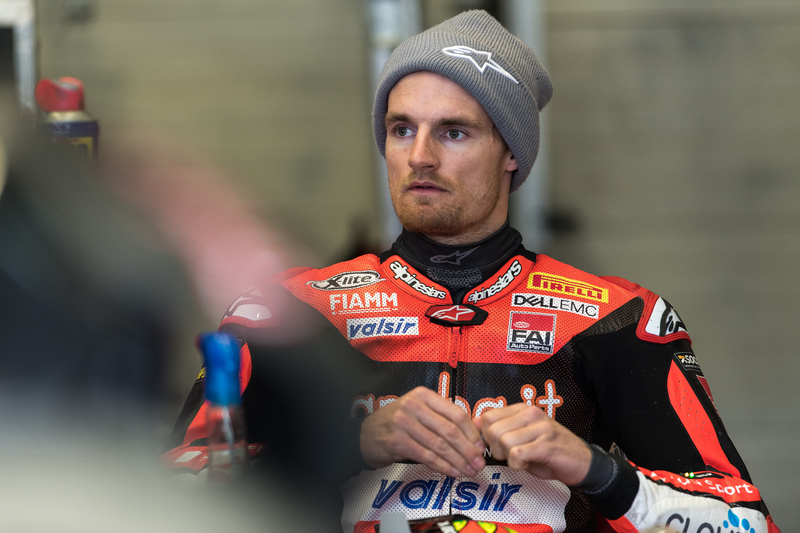 Chaz Davies was hampered by a back problem as he finished his first World Superbikes test of the year in Spain. The Knighton-born rider had crashed on the opening day of the two-day test in Jerez de la Frontera on Wednesday. But Davies insisted that the spill was not the cause of the back issue which restricted him to just 58 laps overall compared to the 103 racked up by new Aruba.it Racing team-mate Alvaro Bautista. “We focused on the engine, and in the end the lap time was OK given the short amount of time we had on track, but I think we could have made bigger improvements,” said Davies who finished the test 10th fastest on his new Panigale V4R bike. “Unfortunately, it’s been a tricky day. I just felt some pain in my back yesterday. Chaz Davies is getting to grips with his new bike ahead of new season. Davies’ best time was 1:40.621 though he completed just 18 laps on the final day. The next test is in Portimao in Portugal next week ahead of the season opener in Australia next month.